No real post today… Too busy with the Ramon y Cajal fellowships. A tenure track without granted tenure even if you excel along the track. As always, a chaotic application web and poor information is the first selection process for the brave Spaniards willing to get back home… Good luck to everyone trying to complete the migration cycle! 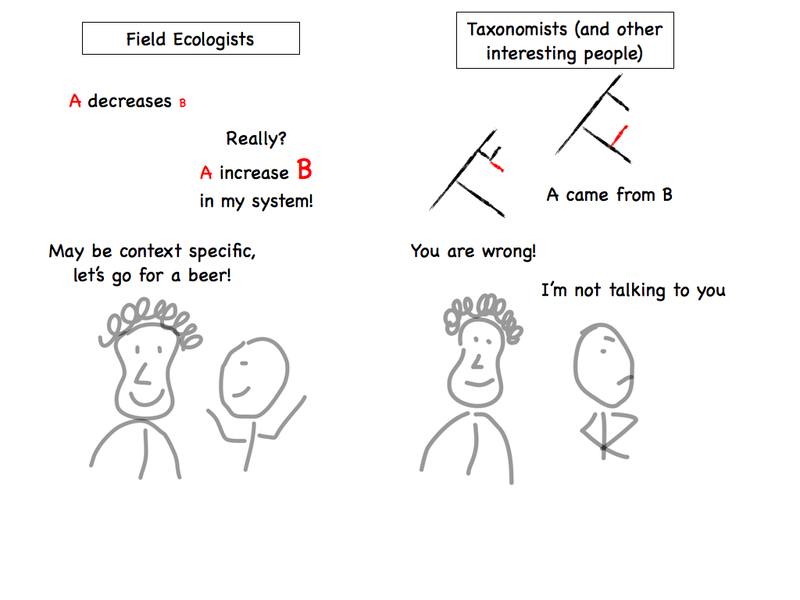 In the last meetings I attended, I observed an interesting behaviour among ecologists (including myself), and is that despite sometimes they present contradictory results, they get along pretty well. I understand that this is not the case among taxonomists, or physicists, where there is a single right answer (comic is not based on a true story). Ecologists can discuss several options regarding why the results presented are not general, but at the end, nobody claims to have the truth. Is there a “right answer” when understanding ecological processes? Is just that is hard to measure all the relevant variables, or even in the case where we can measure everything accurately, the stochasticity is too high? I like to think that ecological theory is not only intellectually exciting, but that it allows for a general understanding of ecosystems. 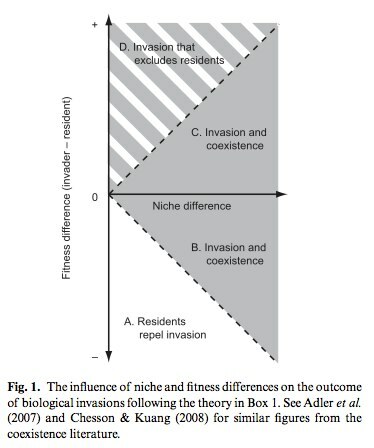 However, I keep finding context specific ecological responses everywhere, and few theories in ecology has a good predictive power. Maybe ecosystems are too complex to be predictable at fine scales. Maybe, like climatic models, we can predict next year general functioning of an ecosystem, but we can’t tell if a species will interact with another one next week. But maybe we just need to bring together better theory and better data and see if we can make sense of it. I am trying to put together data that usually is analyzed independently, but that is potentially affecting the same process. I hope that the combination of datasets fits better the theory than it does when data is analyzed independently. Despite stochasticity is everywhere, I want to think there is still room to improve the mechanistic understanding of complex ecosystems.